A Mississippi Republican who drew scorn for making racially insensitive comments managed to hold her U.S. Senate seat Tuesday in the final race of 2018, networks projected, avoiding what could have been an embarrassing setback for President Donald Trump. Incumbent Senator Cindy Hyde-Smith was leading Democratic challenger Mike Espy, a former congressman, by 54.4 percent to 45.6 percent with 94 percent of precincts reporting, according to Fox News and NBC. 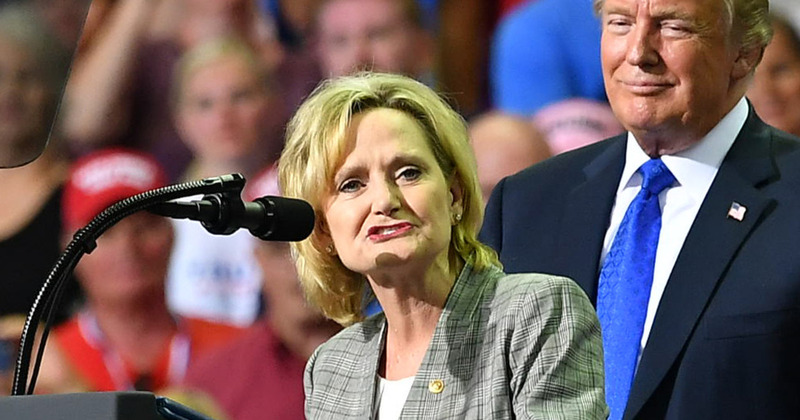 The runoff in the Republican stronghold between Hyde-Smith, who is white, and Espy, who is black, came under national scrutiny when unsettling remarks by the senator – who said she would attend a “public hanging” for a supporter – were widely interpreted as alluding to Mississippi’s history of lynchings and other racist violence. Trump held a pair of 11th-hour campaign rallies in Mississippi to prop up Hyde-Smith’s campaign, which had nearly derailed due to her remarks that Espy and others criticized as racist and un-democratic. “Mr. President, thank you so much for all of your help,” Hyde-Smith said during a victory speech, stressing that the race was about preserving the “conservative values” of the state. Hyde-Smith becomes the first woman elected to Congress from Mississippi. She was appointed to the Senate in April to replace Republican Thad Cochran, who stepped down for health reasons, and will now serve the remaining two years of his term. Had Epsy been victorious in the race, he would have become the first black Senator elected from Mississippi since the Reconstruction era. Democrats were hoping political lightning could strike twice within a year in the South, after Democrat Doug Jones scored a shock Senate upset last December in neighboring Alabama. Jones ran against Republican candidate Roy Moore, who had been accused of sexually assaulting multiple underage girls. “Make no mistake – tonight is the beginning, not the end,” tweeted Espy, who once served as agriculture secretary under President Bill Clinton. Democrats won in 2018, but will they win in 2020? Illusion of Victory: Who won the Midterm Elections?